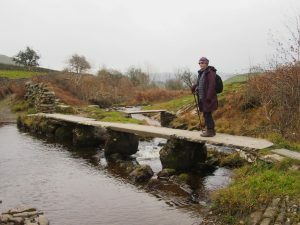 Staying in two of Ingleton’s best Bed and Breakfasts 15 members and supporters visited the Yorkshire Dales over a long weekend in November 2018. 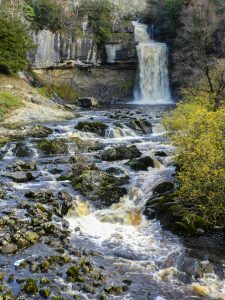 For some it was a first visit to the Dales, to others a return to a much-loved area. 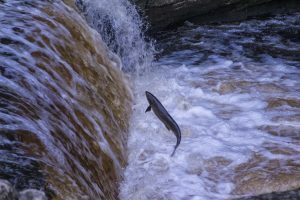 Various locations in the areas were visited with Stainforth Force near Settle being a favourite for beautiful Autumn colours and the spectacle of Salmon leaping up the falls to reach their spawning grounds. Settle town and nearby Ribblehead Viaduct proved popular. Some of us tackled a path above Austwick to visit the stones of the Norber Erratics, then pushed up onto Limestone pavements further up the valley. 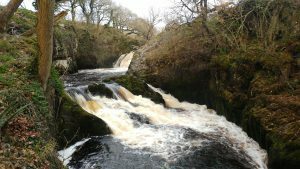 On the Saturday of our weekend the whole group tackled the Ingleton Waterfalls Trail, a 4.5 mile hike around some stunning Yorkshire scenery taking in some beautiful waterfalls, filled by overnight rain. A physical challenge despite the well maintained path, all managed to complete a circuit whilst some of us walked up onto Twistleton Scar to see some amazing Limestone pavement and the hardy Hawthorn trees that grew out of cracks in the stones. Later that evening we all enjoyed a meal together at a local pub, exchanging stories of sore joints and adventures of the day. Some of our members have submitted images that represent their experiences that weekend. All agreed it was a very successful weekend that we hope will be repeated soon.